In 1999, Nikon introduced its first DX-format DSLR camera. The concept? To achieve outstanding imaging power with smaller, lighter camera bodies and lenses than full-frame DSLRs. 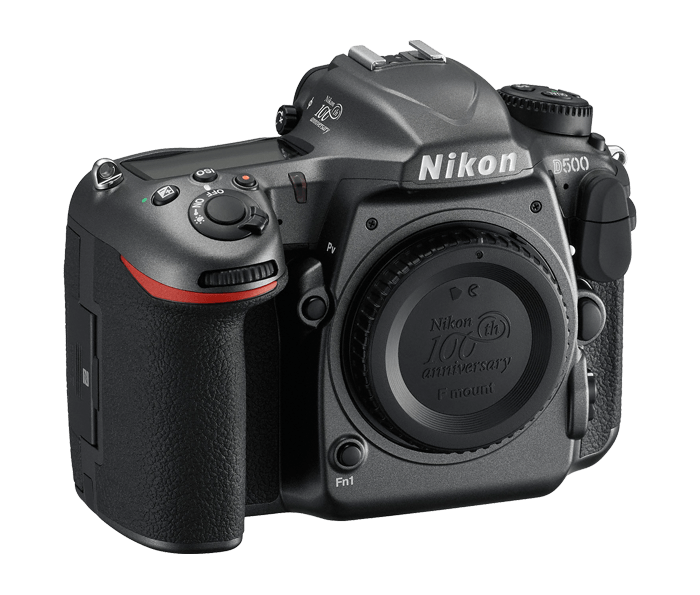 In 2016, the promise of the DX-format system reached its full potential with the award-winning D500. With professional-level performance, unmatched ISO capabilities and 4K video, D500 has unleashed professionals and passionate artists to achieve at thrilling new levels. To celebrate 100 years of excellence and innovation, Nikon proudly presents the D500 100th Anniversary Edition, a limited run version of this extraordinary camera featuring an exclusive metallic grey finish, the Nikon 100th anniversary logo, a premium Italian leather strap and a metal travel case engraved with your camera's unique serial number. Creativity never looked so good.